NORTH CANTON, OH November 14, 2017 – The Kenan Advantage Group, Inc. (KAG), North America’s largest bulk transportation and logistics provider, announced its subsidiary Dedicated Transport, LLC, was honored with the SmartWay® Excellence Award from the U.S. Environmental Protection Agency for the third consecutive year. 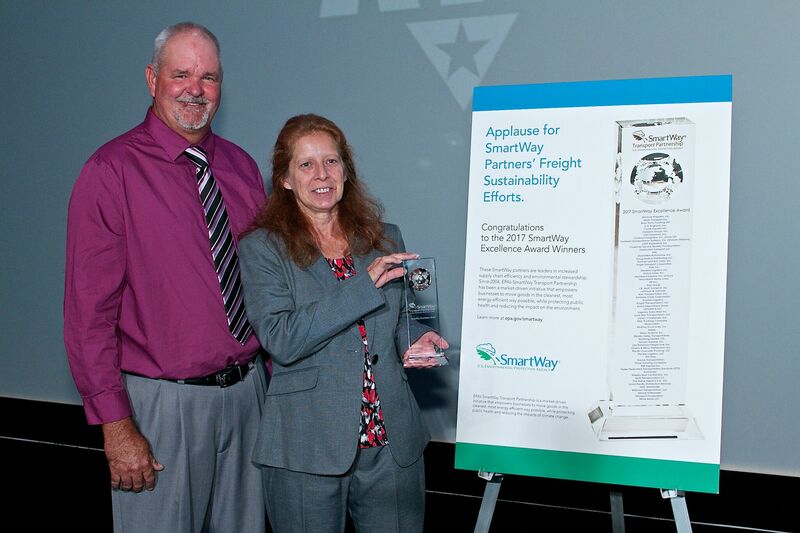 The SmartWay® Excellence Award recognizes industry leaders in freight supply chain environmental performance and energy efficiency. Dedicated Transport, one of 62 companies to receive this distinction, represents the top 2% of the best environmental performers of SmartWay’s 3600 partners. The Excellence Awardees were honored at the American Trucking Associations Management and Exhibition Annual Conference held in Orlando, Florida on October 23, 2017.